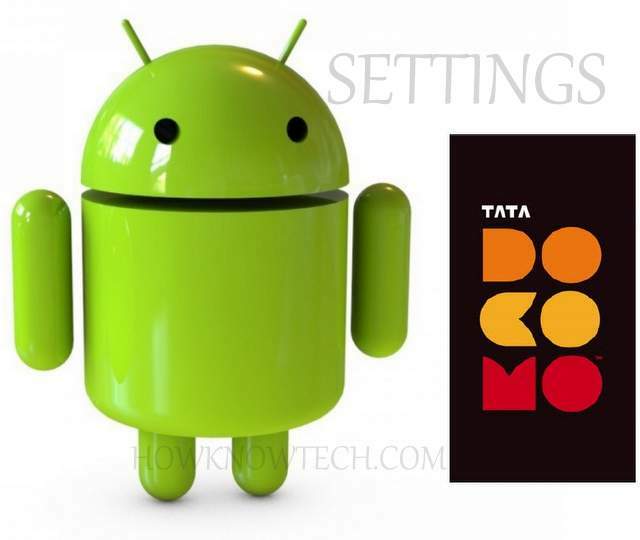 Tata Docomo is one of the most popular Network service provider in India. Tata Docomo has already setup 3G network in many Places, but 2G network is available all over India. There are several ways to get Internet Setting on your phone. You can call Customer Care service to setup 2G / GPRS / EDGE / 3G Data connection on your mobile phone. 3G data speeds are much better than 2G, while the EDGE offers better speed than GPRS. Below are Tata Docomo Internet APN settings for Allview, Amoi, Archos, AT&T, BenQ, Bird, BLU, Casio, Celkon, Dell, Ericsson, Fujitsu, Siemens, Gigabyte, Haier, HTC, i-mate, Icemobile, iNQ, Karbonn, Lava, LG, Maxwest, Micromax, Mitac, Modu, MWg, Neonode, Nokia, O2, Oppo, Palm, Pantech, Philips, Posh, Qtek, Samsung, Sewon, Siemens, Sony, Spice, Tel.Me., Thuraya, Unnecto, verykool, VK, Mobile, Wiko, XCute, XOLO, Yota, ZTE, Alcatel , Amazon, Apple, Asus, Benefon, BenQ-Siemens, BlackBerry, Bosch, Cat, Chea, Emporia, Eten, Garmin-Asus, Gionee, HP, Huawei, i-mobile, Innostream, Jolla, Kyocera, Lenovo, Maxon, Meizu, Microsoft, Mitsubishi, Motorola, NEC, NIU, Nvidia, OnePlus, Orange, Panasonic, Parla, Plum, Prestigio, Sagem, Sendo, Sharp, Sonim, Sony Ericsson, T-Mobile, Telit, Toshiba, Vertu, vivo, Vodafone, WND, Xiaomi, Yezz, YU yureka ,Chinese phones Nokia, Apple iPhone (IOS ) and other android mobile phones. To get GPRS / 2G / EDGE / 3G settings on your phone via SMS is very easy. Just SMS “INTERNET” to 52270 and wait for some time. After some time you should get a Setting message just follow the instructions, setting will be automatically installed. If you are unable to install automatic settings by SMS, or you don’t get setting message then follow these instructions. WOW : you made it SIMPLE ! isn’t it? TIP ::::: Settings may be different in all phones so just Look for APN. Before Surfing Internet make sure you have at least 2RS balance in your account. Also remeber to activate DATA PLAN to prevent over balance deduction. Here are Data Plans of all the Network Operator in India.